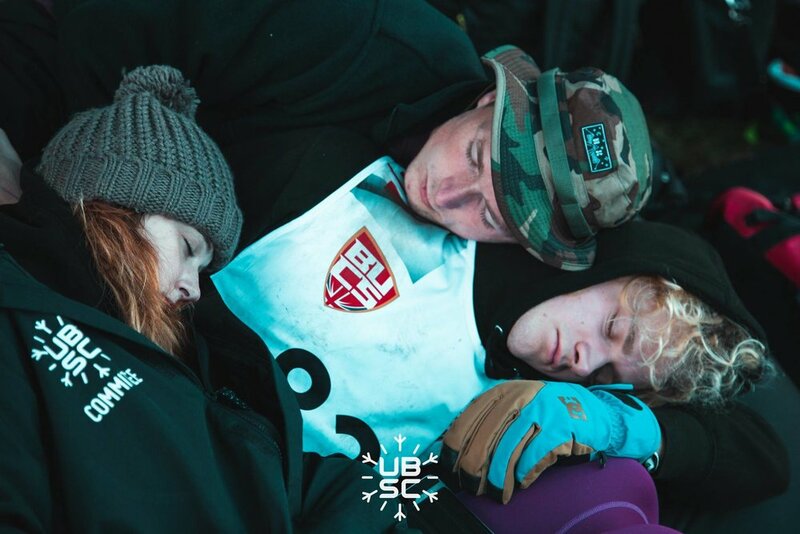 Every group has their own BUDS story to tell, so what did Bristol University Snowsports Club (UBSC) get up to? 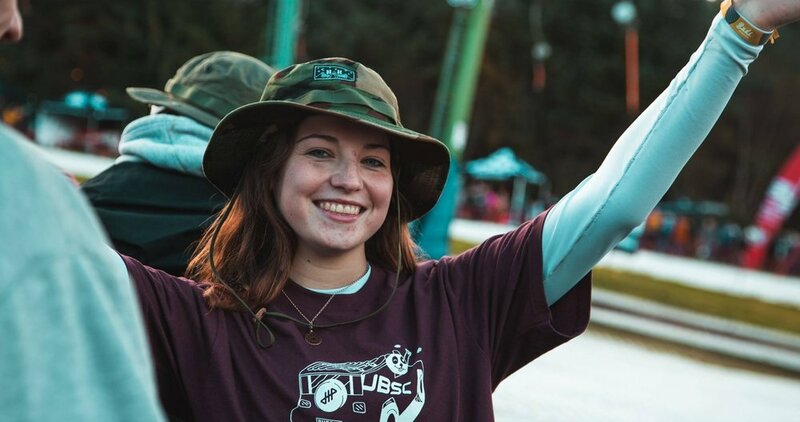 President Lauren Beattie fills us in on the antics! Edinburgh University Snowsports Club (EUSSC) welcomed us to the Three Sisters for their traditional Pre-BUDS party on Thursday. It was great to see so many clubs represented on the first night and even better to see people you’d never expect screaming out the words to Kelly Clarkson’s ‘Since You’ve Been Gone’ (banger). It was a later night than expected, but then again it always is! Almost all of our male racers either stacked it or skied out, with one racer managing to cut his lip open AFTER he had skied out of the course. The girls were much more successful. We had 4 female racers in the Top 30 and Lara Aldridge secured 9th place after the second run. Our snowboard team also performed extremely well with two podium finishes (#1 Aidan Scannell and #2 Lucy Troman). Moreover, four of our riders made the semi-finals in the slopestyle event. They all performed brilliantly but I’m pretty sure that too many of them now have a man-crush on Harris Booth (Glasgow University) after seeing him throw down a ridiculously good performance. All in all, Friday was an incredible day but exhausting from my perspective. I am one of those people who never naps (withold all judgement please). However, I fell asleep around 8pm and my committee couldn’t wake me for hours. Even the smell of pizza and them physically shaking me had zero effect. Needless to say I was not at the Liquid Rooms that evening (‘EGM’ – I hear you) but I think a lot of people both in and out of committees will relate. Then came the wind. The adverse weather conditions overnight left the slope irreparable but nonetheless, a few members of the group made the best of the bad situation and set off on an adventure up Arthur’s Seat. Although I think this was more perilous than going up Hillend itself, it was certainly worth it for the views that Scott Dunster (UBSC Media Rep who is awarded full credit for the photos in this article) captured. Bristol Snowsports then reconvened with the other clubs at the Three Sisters to watch the rugby, have some drinks, and listen to some tunes. This event left most of my competitors ready to demolish their cheeky Nandos and get ready for the final night out. This is where our weekend got pretty extra because our LEGENDARY bus driver shipped all 48 of us to the Biscuit Factory on our BUDS coach. He even stopped for an hour or so on the way to let us have a few final drinks together! It goes without saying that the sheer novelty of this experience made it the highlight for many of us. The night ended in the small hours of the morning with an elite force of students steaming up the Royal Mile to ‘storm’ the castle. It is fair to say that the castle won and brought BUDS 2018 to a close. Thank you for a lovely game of BUDS – The most unforgettable, yet forgettable weekend away!